A Rocking Glider Chair provides all of the gentle swaying of a porch swing or a rocking chair, but keeps all four legs securely on the ground the whole time. 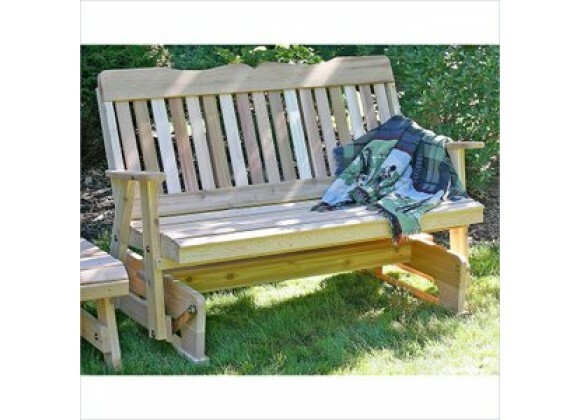 A classic patio stable, this Countryside Rocking Glider will be a beautiful addition to any outdoor space. Handcrafted from durable and beautiful western red cedar, you will enjoy it season after season.